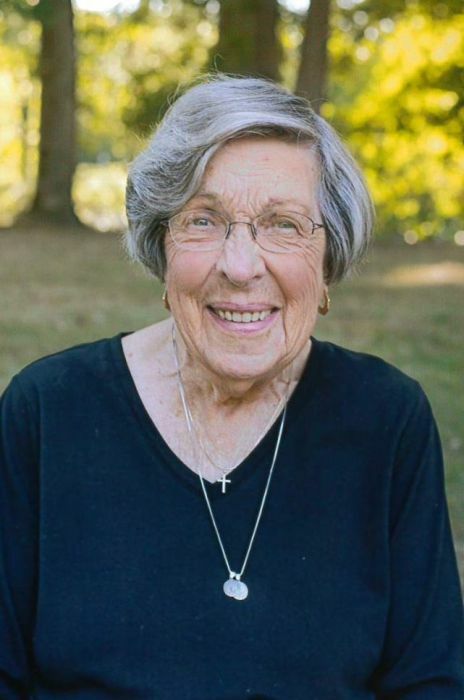 Mary A. Halpin, 89, of Gillespie, IL, died at Heritage Health of Gillespie, IL on Wednesday, March 20, 2019 at 8:31 pm. She was born August 24, 1929, in Gillespie, IL to Robert Harris & Alice (Boycott) Harris. She married Norman J. Halpin on June 12, 1949 in Pocahontas, AR. He preceded her in death on March 31, 2011. Mary was a bank teller. Mary is survived by her children, Mary Jo (Jim) Bunge of Gillespie, IL, Bill (Tammy) Halpin of Gillespie, IL, grandchildren, Jamie Gansz, Julie Goldasich, Allie Zaloudek, Abbie Koschak, Laura Halpin, Ellie Halpin, Macie Halpin, great-grandchildren, Jared Gansz, Emma Gansz, Caroline Goldasich, Luke Goldasich, Sean Zaloudek, Sam Zaloudek, and Vivien Koschak. Mary was preceded in death by her parents, spouse, son, John Robert Halpin and brother, Jim Harris. Friends may call on Sunday, March 24, 2019 at Kravanya Funeral Home in Gillespie, IL from 5:00 pm until 8:00 pm. Funeral services are Monday, March 25, 2019 at 12:00 PM at Kravanya Funeral Home, Gillespie, IL with Father Michael Haag officiating. Burial will be at Holy Cross Cemetery, Gillespie, IL. Memorials are suggested to Donor's Choice. Anyone wishing to send an online condolence may do so at www.kravanyafuneral.com. Kravanya Funeral Home, Gillespie, IL is in charge of the arrangements.